VIPAccessEXCLUSIVE: Madison Pettis Exclusive Interview With Alexisjoyvipaccess At DigiFest LA! Whether you call her “Janelle” (Lab Rats), “Izzy” (Jake and the Never Land Pirates), “Allie” (Life With Boys), or “America’s Angel” (Cory in the House) – we can all call Madison Pettis a ravishing and multi-talented actress! Madison Pettis marked her outstanding acting career as a child actress and has shown her wonderful talent in projects like “The Game Plan”, Hannah Montana, R.L. Stine’s The Haunting Hour, Life With Boys, Lab Rats, and the list of Madison Pettis’s accomplishments is truly endless. One thing Madison Pettis fans can really see is Madison Pettis was a marvelous actress then and grew up to continue to be such an incredible actress now. Madison Pettis truly radiates classiness and a sophisticated persona whether it be acting or modeling for the amazing Love Pastry sneaker brand. 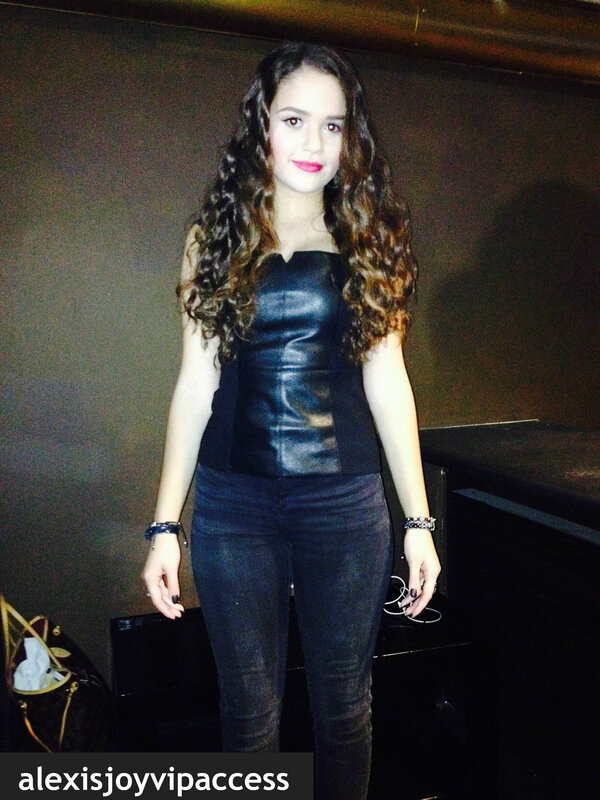 Madison Pettis also has a fabulous flair for fashion and will always be an excellent role model to her fans! I, Alexisjoyvipaccess had a terrific time catching up with and interviewing the gorgeous Madison Pettis again at the *event of the year* – the Digi Fest LA on December 14, 2013 at the Hollywood Palladium. Madison Pettis dishes exclusively to Alexisjoyvipaccess about what it’s like on set of a Love Pastry photoshoot, upcoming projects and much more in our VIPAccessEXCLUSIVE interview! Madison Pettis even spills on her beauty must-have, find out her answer and more in our VIPAccessEXCLUSIVE interview at the DigiFest LA below! Thanks for the wonderful interview, Madison! Check out my VIPAccessEXCLUSIVE interview with the vivacious Madison Pettis below! Previous VIPAccessEXCLUSIVE: Jake Short Exclusive Interview With Alexisjoyvipaccess At DigiFest LA! Next VIPAccessEXCLUSIVE: Blake Michael Exclusive Interview With Alexisjoyvipaccess At DigiFest LA!